Description Funny Balloons tells the story of a kid that ventures in the wood and is kidnapped by evil forces that imprison him in a mystic world. To escape and get back to home he must play a strange game where he must guide balloons in different allotments. Each allotments has a color and a particular points level. If the balloon is driven in the allotment of the same color, the points are added to the total score, otherwise subtracted. 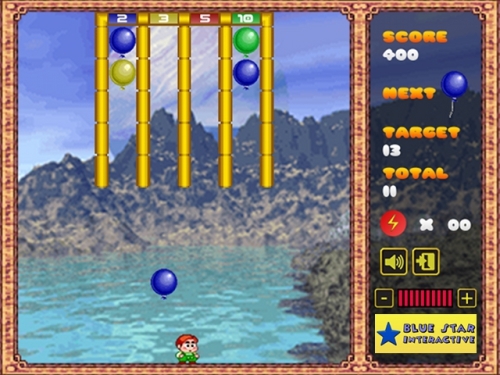 The objective of the game is to obtain a value for total score equal to the target score.